Not having a patch into the core was something that bothered me for quite some time and I really wanted to add my contribution, even it’s something small and it’s a few lines of code. I was lucky enough, because this was my first patch ever and it was accepted after a few weeks after submission and from what I’ve heard, that’s not always the case. I remember that one night I got back home after playing football with friends, I took a shower and I’ve decided to open the trac and check some tickets, instead of going to bed. I’ve spent a few hours, reading comments, following different tickets, testing patches, etc and I saw this ticket. I’ve decided to give a try and submit a patch because the ticker was easy enough to work on it. As you can see, there was already an attached patch, but the change didn’t fix the issue for me, so I’ve submitted a new patch, with a few pixels more. 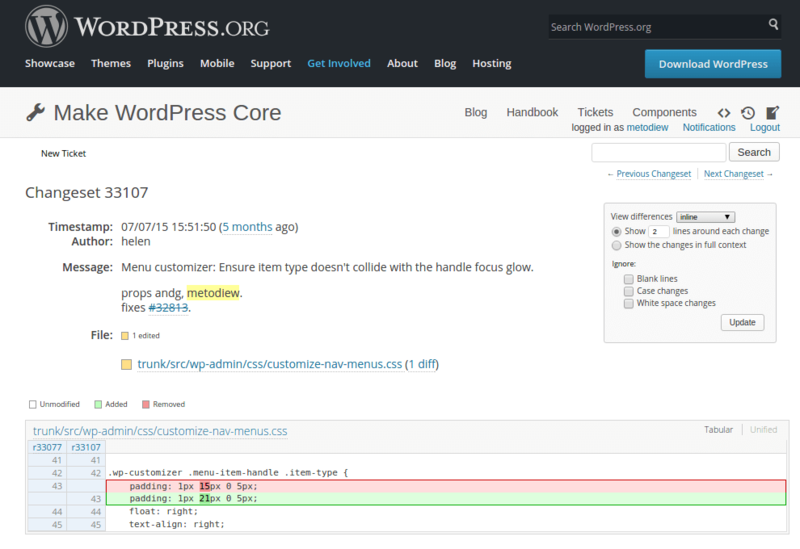 As you can see Helen used a number between the suggested values and the patch was added to the core. Like you’ve noticed, nothing fancy, nothing special, but with this small change, we’ve fixed an issue and that’s the important part! One of the reasons I’m writing this blog post is that every one contribution is welcomed (I’ve already said that, right? :D), so a personal advice – don’t be scared, don’t be shy. The core team is hospitable, especially for a first timers and they will give a change, guidance and advice, if needed, so feel free to send patches! 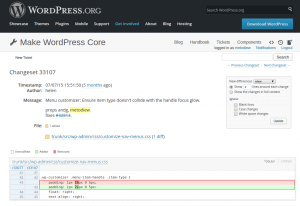 3 Pings/Trackbacks for "My First WordPress Patch"